If there's one thing we know, it's that The Sims will always have an ungodly loyal following. Make sense, the life simulator franchise lets you live out all of your wildest dreams like being able to afford a gorgeous home in an unstable housing market (wahn wahn). For those that just can't put down their mobile device, or are just looking for an interesting new way to play - we've got just the thing. 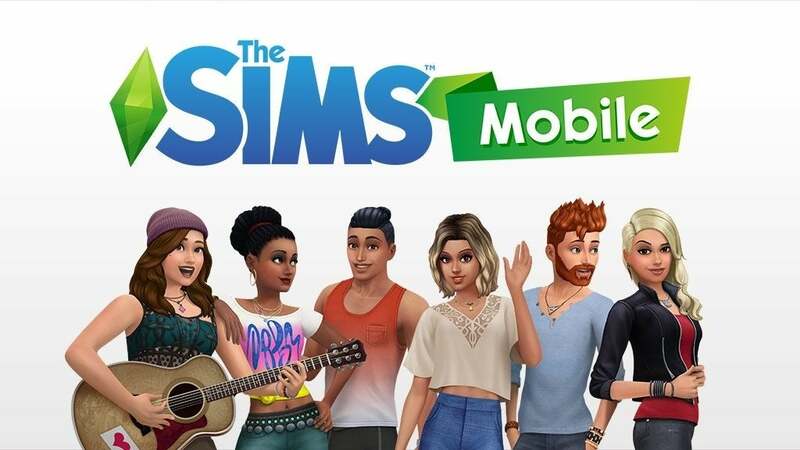 EA and Maxis have officially announced that The Sims Mobile is now live and available on both iOS and Android devices. From the trailer seen above, it definitely captures what many adore about the simulation series and allows players to interact with each other for an incredible social experience. Play with your friends or go on a solo adventure, there really is nothing you can't do in The Sims Mobile. "The Sims Mobile brings players oodles of opportunities for freedom of expression as they guide the stories of their Sims’ lives through career choice, hobbies, relationships, and more. Players can explore all new ways to interact with other players’ Sims at parties or around town and use Stickers to let them know if they’re Cute, Hot, or Fabulous! Relationships can be initiated as friendly or romantic with other Sims, while taking risky actions for higher rewards, such as going in for a kiss or experimenting with a new recipe. Players can also start families for their Sims, creating a path for future generations where they can pass down heirlooms that have powerful gameplay benefits. "In The Sims Mobile, players can create one-of-a-kind Sims, build amazing homes, and play together with friends as they shape their Sims’ lifestyle. Jump in the game and start by customising Sims to have distinct appearances with everything from their hair color and style to fashion and accessory choices. Players can pick Sims personality traits to reflect their own or to be completely different as they determine hobbies, careers, relationships and more. After building the perfect home personalised with furniture, decorations, appliances, or themed collections, invite friends’ Sims over to show off the amazing space, or check out other Sims’ homes by attending their parties." So get to that character creator because The Sims Mobile is now available!